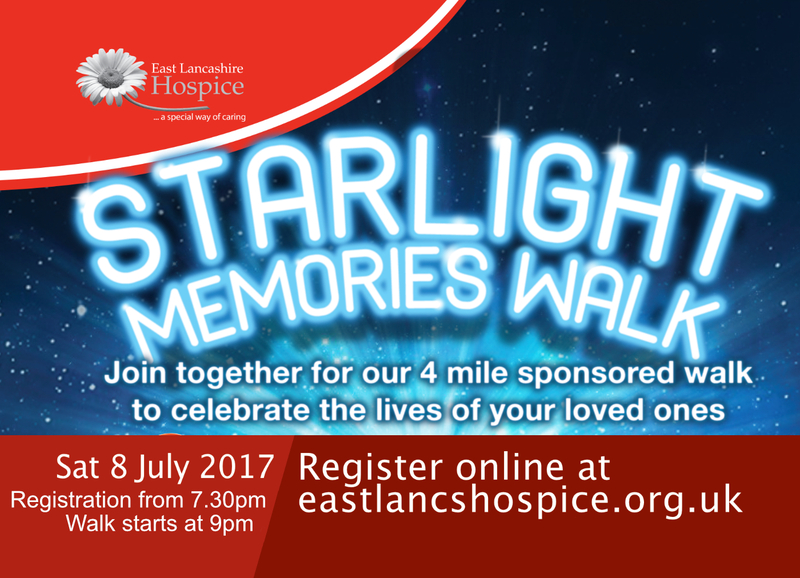 To celebrate 50 years of the hospice movement, East Lancashire Hospice is inviting the whole community to take part in their Starlight Memories Walk. 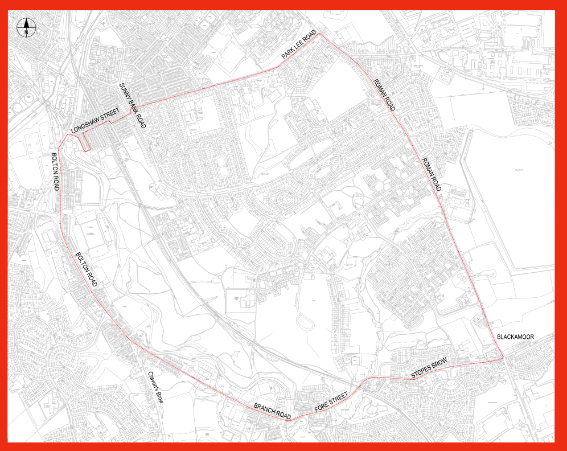 The four-mile event, held on the evening of Saturday 8 July, will be the first event in the hospice’s history to start and finish at the Park Lee Road Hospice in Blackburn. Unlike previous events, the Starlight Memories Walk will be open to everyone – men, women and children over the age of six. The Starlight Memories Walk aims to invite people to the hospice – the heart of the community – regardless of whether they have a personal connection or not. It is not a challenge, instead it is a walk to reflect and remember loved ones in our community. Louise Turnbull, 34, will be taking part with her friends, Sarah’s Angels, in memory of her friend Sarah Glover who died of cervical cancer in 2014 aged just 36. Louise, who has raised almost £10,000 for the hospice since her friend’s death, said: “Dying affects everyone in the family, so I think that it’s a positive step to allow men and children to take part. It’s important that they’re able to walk in memory of their loved ones too. The walk is part of a series of community events due to be held at the hospice this summer and participants are asked to get sponsored to raise much needed funds for the hospice. An additional £5 could provide a 3-course meal for a patient, and £10 would provide relaxation to a patient through a Complimentary Therapy session. £240 would provide 20 hours of care in a patient’s own home. Registration is available by visiting www.eastla­nc­shos­pi­ce.­org.­uk/­starlight-memories-walk-2017 or from 7pm on the night and starts at 9pm. Entry is £15 for adults and includes a t-shirt, helium balloon and candle. Entry for children costs £10 and includes a t-shirt and balloon. For more information, of if you would like to volunteer on the night, please contact Denise Gee on 01254 287 011. Turn left down Park Lee Road.